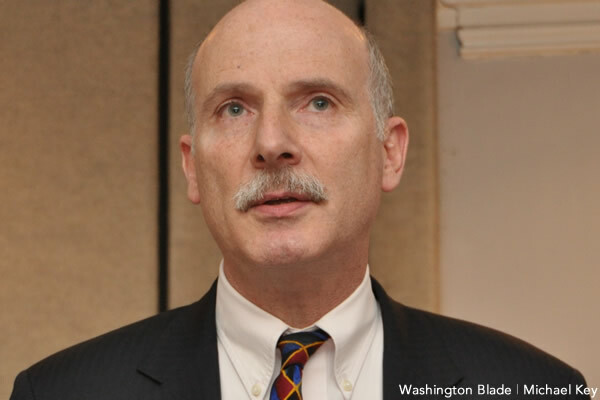 A clear indication that the D.C. Council has exceeded a high political tolerance for imposing business burdens is Council Chair Phil Mendelson’s call for a moratorium until 2019 on new legislation negatively affecting local enterprise. It’s small comfort to District-based businesses reeling from an incessant tidal wave of excruciatingly costly-to-administer and laden with unintentional-consequence regulatory edicts and employer mandates. Mendelson’s stance, however, is welcomed for the possibility that it will provide at least a modicum of short-term relief. The sensible question, of course, is why there should be an arbitrary end-time to the proposition. It is as if elected officials are blithely non-cognizant of the folly in boiling the city’s golden goose in a pot poisoned with overlord extremism. Even the recent reform of modestly lowering the local business tax only managed to set the rate equal to adjacent hyper-tax Maryland and among the nation’s highest. The business tax rate in the other neighboring jurisdiction of business-friendly Virginia is far-below D.C.’s extraction and both political parties in the state hope to further lower it. Worse than the city’s transactional takings, the most business-unfriendly collection of D.C. Council members in the 44-year history of Home Rule spends an astonishing amount of time scheming up new ways to micro-manage local businesses. Inversely, the Council spends far too little time on effective government oversight and managing agency operations, despite those tasks being their actual primary responsibility. Local legislators should instead be busying themselves with fixing the notoriously high prevalence of poor service performance, correcting governmental inefficiencies, preventing project cost overruns, and reducing the sky-high toll of city program waste, fraud, and abuse. The list is long, estimated to represent fully 12 percent or more in squandered expenditures, and grows as fast as local politicians avert their gaze. Prompting Mendelson’s months-ago mantra that his colleagues adhere to a pause on new business regulations and mandates are two legislative enactments during the most recent legislative term. The continuing hike in the local minimum wage, rising 180 percent in only six years to an increasingly nationally rejected $15 in mid-2020, and the pending next-decade implementation of an extravagant and expensive paid leave mandate, the cost of which is currently assigned exclusively to employers unlike in any of the handful of states imposing the benefit, are motivating a moratorium. Anti-enterprise ideologues and small business adversaries on the Council (yes, Elissa Silverman, the entire business community is looking at you and thinking about your upcoming re-election effort) are hoping to bypass Mendelson’s moratorium and push for even more employer mandates. These include prohibiting the necessary economic facilitation of prior mandates. Forcing businesses to reduce full-time positions or cut staff work-hours to accommodate rising labor costs and additional expenses due new regulations, for example, and subsequently proposing restrictions on those adjustments is perverse. Harm’s toll, though, is hardly limited to these big-ticket items. Burdening local community commerce, and the city’s dominant small business sector most often the intended target, are the never-ending knife-cuts of additional micro-regulations and new restrictions so bewildering and numerous that local businesses can no longer maintain tracking or remain informed of them all. Regulatory infractions are now largely attributable to the simple incapability of keeping up. Overwhelming operators by the sheer volume of new rules and punishing them for a fundamental inability to monitor it all is institutional trickery of the worst sort. Expecting small local businesses to create staff positions solely devoted to discovering whatever anti-business horrors have been newly promulgated is unreasonable. Before the D.C. Council passes any more business regulations, the city government should first provide an assemblage of what they’ve already done in an accessible centralized online compendium. More than that, the D.C. Council should follow-through on its unfulfilled promise to measure by formal procedure the impact of proposed legislation on both community businesses and the city’s fiscal health. A short-lived moratorium is not nearly enough remedy. Good Lord, is there an editor in the house? Seems like this writer hit the nail on the head. No need for an editor when a good phrase to describe dimwitted Dumocrats in DC pops up. My comment was about the writing quality, not the policy argument. Which, yes, was also weak, but there’s no point in arguing with with crazy-eyed ideological rant. Yeah, common sense always seems to be an ideological rant to liberal morons. Hey you’re the one who thought this was good writing. Fortunately, increasing the minimum wage was and is overwhelmingly popular with DC residents, and businesses are not fleeing DC as the minimum wage has risen. Also, jeez, it is slight progress that we now at least pay people $12.50 an hour. Or roughly $25k a year full time, often with few benefits.